It’s a well-known fact that solid and engineered wood resides in the upper echelons of flooring materials. 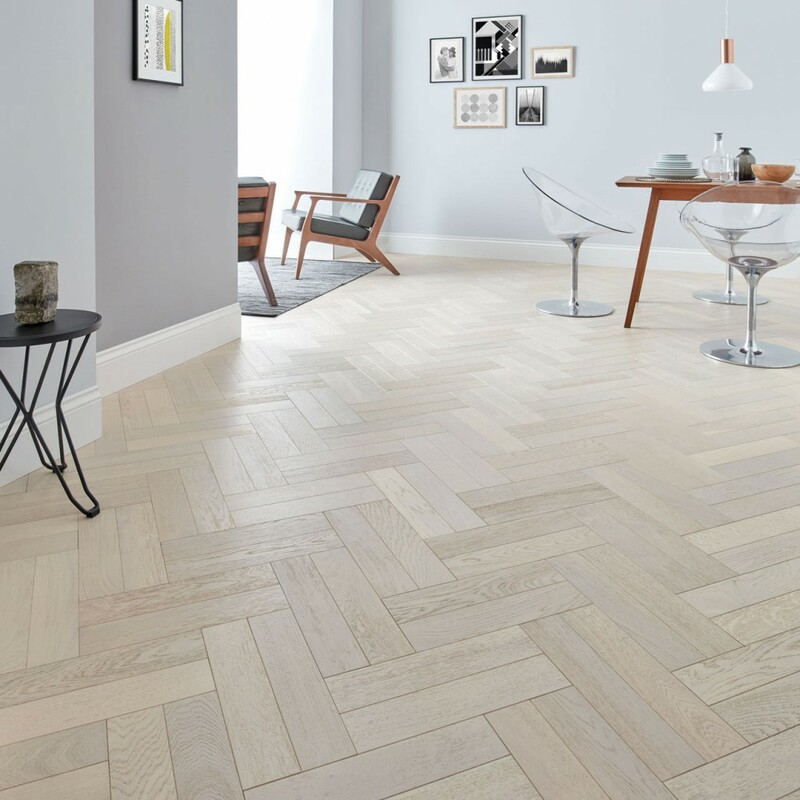 Generations of homeowners have relied upon wood flooringfor its bespoke, naturalistic style and unparalleled durability, so it comes as no surprise that it’s still a highly popular choice for today’s modern homes. However, there seems to be one catch. Whilst wood flooring offers a myriad of aesthetic and practical benefits, many people are put off by the initial steep costs. Whilst you wouldn’t be wrong to assume that would flooring comes with a hefty price-tag, most people are unaware that installing wood boards can actually save you a tremendous amount of money in the long run. When it comes to thermal insulation, most homeowners will be quick to assume that carpet is the most effective flooring solution. Unfortunately, this is a common misconception. Whilst carpet does trap heat in its fibres, it reduces the amount of air circulation within your home. As a result, your heating appliances will have to work much harder to achieve a consistent temperature throughout your property. Opposed to this, wood flooring absorbs and conducts heat, providing significant improvements to your circulation. Alongside this, wood flooring retains heat for even longer, allowing you to achieve warm temperatures without heavy reliance on your boiler or stove. Consequently, you’ll be spending less money on your energy bills, and more money doing the things that you love. Trends and fashion tend to govern many aspects of our daily lives, so it’s no surprise that you’ll want to keep your interior décor feeling fresh and up-to-date. If you’re looking to redecorate, chances are you’re going to incur some unavoidable fees, which could stretch well into the hundreds. Luckily, wood flooring is never seen out of fashion. No matter what style your home, the intricate depth and textures of solid and engineered wood will remain in vogue without fail. Because of this, you won’t have to replace your flooring in order to keep up with the trends, saving you vast amounts when it comes to giving your home a makeover. It’s no secret that potential property buyers are willing to pay that little bit extra for preinstalled wood flooring. Because of their unrivalled quality and endurance, installation of solid and engineered boards can drastically increase the value of your home, proving an excellent investment for those planning to sell. This is due to their impressive lifespan and low maintenance. Wood floors can tackle high levels of footfall, are easy to clean, and can be sanded to pacify damages, making them highly desired amongst buyers. Whilst the initial cost may be steep, it could deliver impressive returns in the future. If you’re not looking to sell anytime soon, don’t worry. The outstanding longevity of wood flooring can still save you money further down the line. As mentioned above, wood flooring can be sanded and refinished time and time again. Whilst this won’t be necessary for at least 10 years, you will be able to restore your boards to pristine condition at a relatively low cost. This removes the need for reinstallation, saving you on the price of labour and materials! This is one for the creatives amongst you. Wood flooring is made from the highest quality timber, hand selected for its stunning visual appearance. Because room sizes vary from home-to-home, it’s likely that your flooring will need to be cut down to size. This produces many left-over offcuts of wood, which are an excellent material for DIY and craft projects. Instead of spending excess amounts on new furniture, why not create your own unique pieces with spare wood? This will reduce the strain on your bank account, and prove a productive pastime for the family to get involved in. The possibilities are endless! Well all of that is something to think about Aye!